With the summer just around the corner, very soon people will start complaining about the excessive heat. In a bid to mitigate against such summer heat, one social venture in Bangladesh has created the Eco cooler. This simple air coolers are constructed using affordable, used plastic bottles. This system is unique in that it doesn’t need any cooling mechanism. 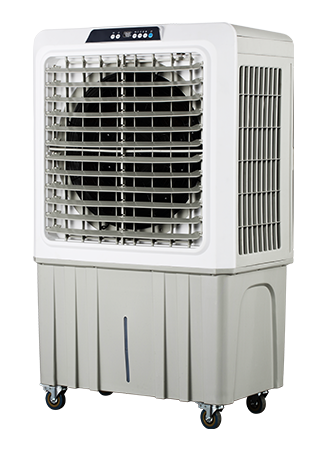 Air coolers are also referred to as desert cooler , evaporative air cooler or swamp cooler. 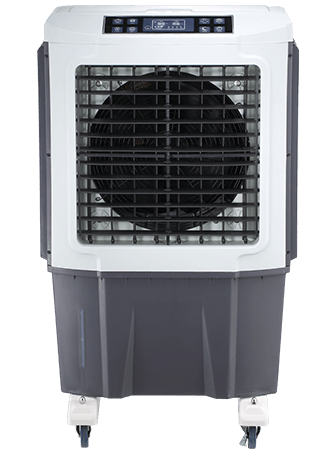 Air coolers are among the earliest forms of weather and climate control still in use today. Remember that breezing feeling you have on your skin after coming out of a pool? 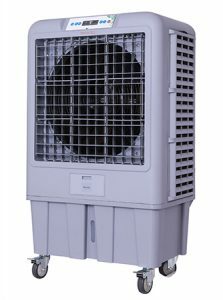 That is the simple idea of air coolers. 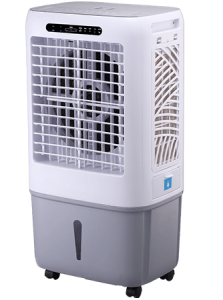 The scientific principle behind air coolers, known as evaporative cooling, is quite simple. It refers to a fairly common natural phenomenon that regularly occurs in our environment. Perhaps the best way to relate to this is via the use of a swimming pool. That cooling effect that one experiences after coming out of the pool occurs similarly. As dry air blows through the water on your skin, it absorbs some of the water. As this water turns into gas, heat switches from the much higher air temperature to the lower water temperatures. This natural air circulation thus cools the skin area around it. The Eco cooler was developed by Ashis Paul from Bangladesh. The southeast Asian nation’s scorching heat was the main inspiration behind his DIY cooling system. Another thing that inspired him was the fact that electric air-cooling units wouldn’t be applicable in most Bangladeshi homes. In the mostly rural and poor country, electricity is sparsely distributed and mostly unreliable. 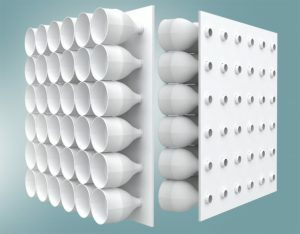 Ashis Paul created his air cooling system using a common waste item in Bangladesh: empty plastic bottles. 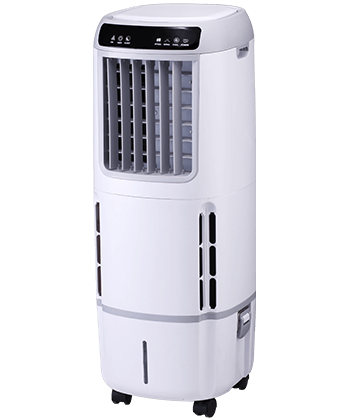 The Eco cooler is the first-ever, zero-electricity air conditioner in the world. The inventor also wanted to help as many people as he could use his solution. That is where the Grey Group came in. 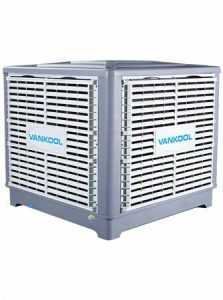 Using its privileged position as an international advertising company, they posted the cooler’s plans online for free. 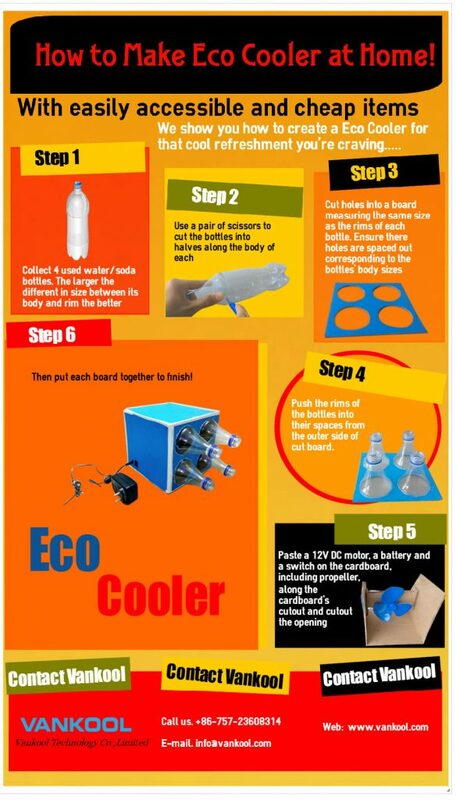 Anyone with access to the internet can, therefore, design his/her own Eco cooler. Grameen Intel Social Business volunteers also helped in the building and installation of Eco cooler units. They also took part in teaching locals how to build their own and pass the knowledge on to other beneficiaries. As hot air rushes into each plastic bottle, it is pushed to the rim where it begins expanding. This expansion then leads to the cooling of the air as it enters the target room. This cooling results from pressure change. As air enters the plastic bottle’s wider part it comes out the bottleneck with higher pressure. As it quickly disperses into the room, its temperature drops. Sounds uncanny, right? The principle here is quite simple actually. With your mouth wide open, blow some air onto your hand. Does the air feel hot? What if you do the same with pursed lips? Does the air feel cool? 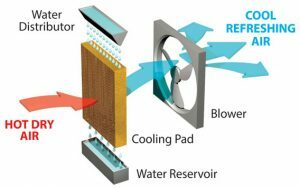 That is exactly how the Eco cooler functions! The thermodynamics principle here is called the Joule-Thomson effect, and the process is known as throttling. 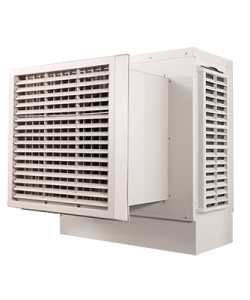 Liquefiers, refrigerators, heat pumps and air-conditioners work using the same principle. 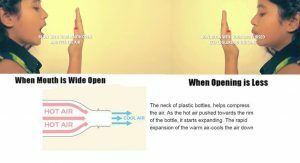 6 Steps To Make An Air Cooler At Home Using Plastic bottle. This cooler has created a DIY video that explains how to make your own air cooler at home.